Hüdié SPA flagship clubhouse locates in Shanghai premium landmark – 4th floor of the Bund 18. 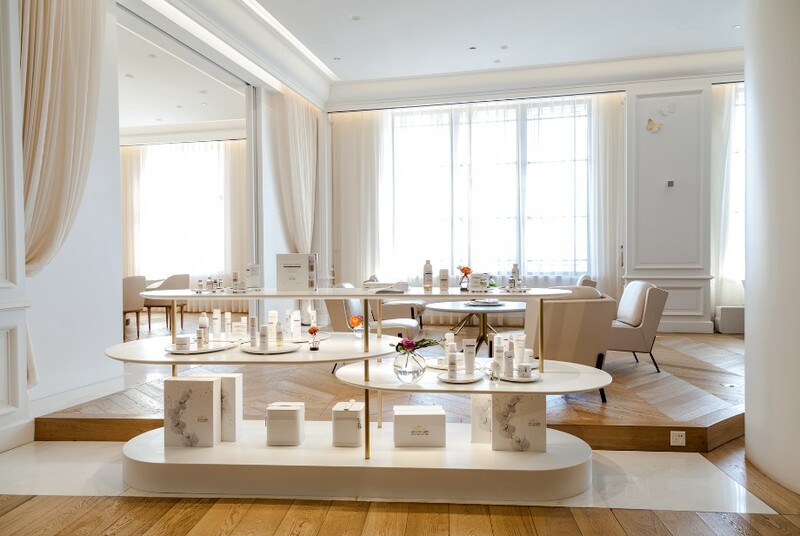 Designed by world renowned designer from Paris – Damien Langlois-Meurinne, the new clubhouse dedicates to bring a new experience to skincare and retail space. Combing Corian® Glacier White with different materials such as enamel, wood and brass, DLM brings poetic atmosphere to the SPA clubhouse using unique designs in impact space, furniture and various ornaments. Hüdié SPA advocates “listen to inner origin, attention to detail” as health concept. 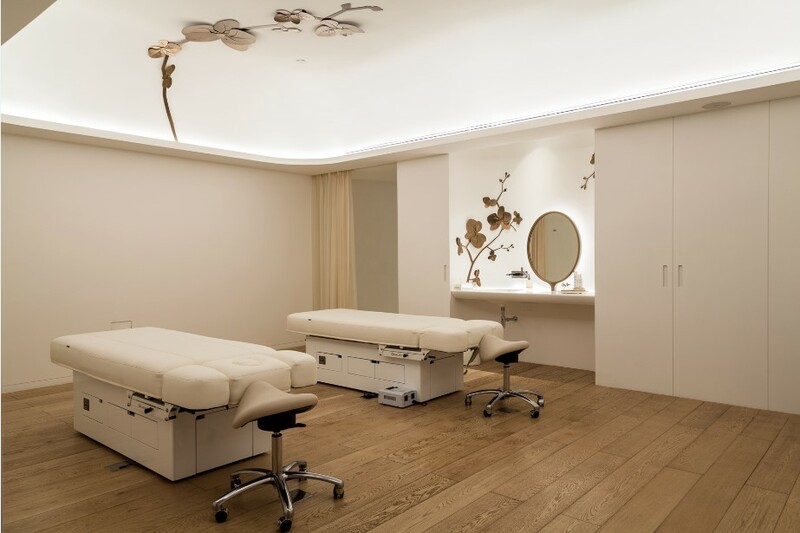 Pioneered “tailor to skin type” premium skincare, Hüdié customize the SPA experience for every customer starting from diagnostic and consultation to product and service selection to equipment and therapy space. The clubhouse employs white as theme color; allowing customers to experience harmonization of mind and body through relaxation and nature elements in every space. With the concept “butterfly with blooming flower”, a Corian® Glacier White large round table that resembles a blooming orchid is placed in the middle of main entrance. Garnished with hand-made brass petal, the walls enrich the space with subtle oriental beauty. 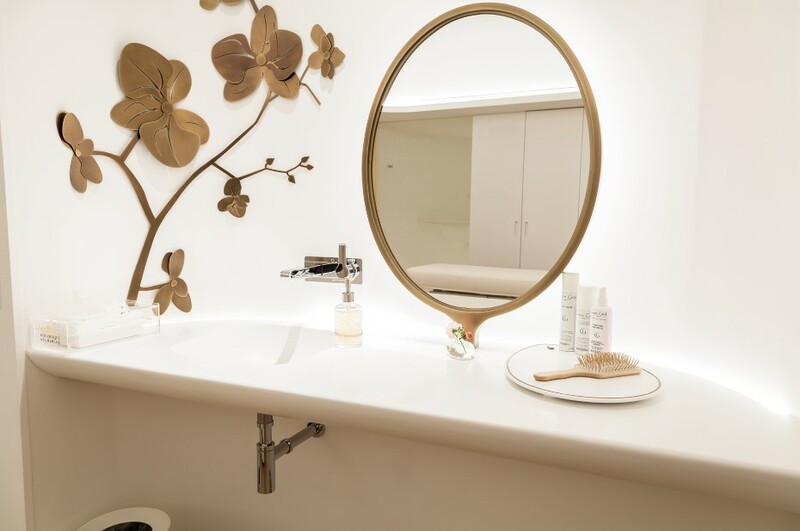 The exclusive VIP treatment area extends white accent with Corian® Glacier White dressing table; golden columns connect smooth curves and round edges emphasize the texture and purity of mother nature. Resemble blooming flower blossom, petal trays made with Corian® Glacier White and Corian® shelves that seamless join with wall cladding bring different elements of natural beauties together in this organic space. 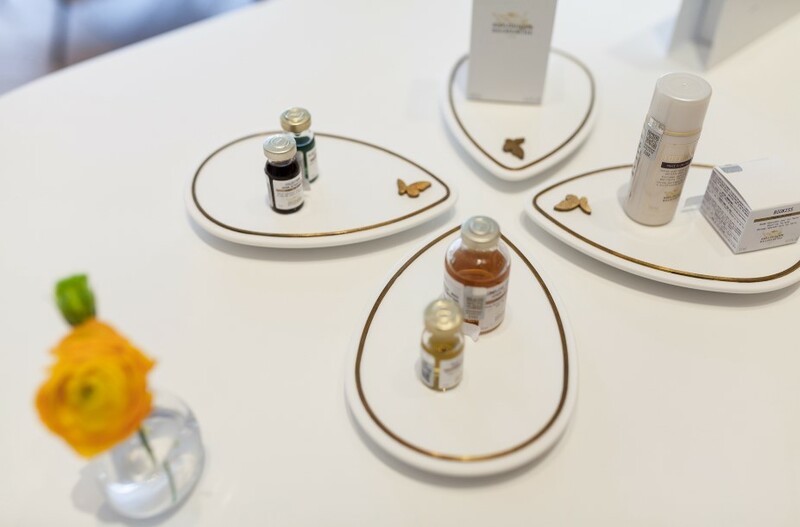 Hüdié SPA dedicates to bring beauty and healthy together. The SPA uses advanced scientific proven measures to help customers refresh and recover health just like cocoon turning into butterfly. Through collaboration with Corian®, the clubhouse creates an extraordinary space that has the flexibility to fulfill tailor enjoyment for every customer. Fabricator: Suzhou Jinlehui Construction and Decoration Material Ltd.